The most legendary nose in literature gets a makeover with this American adaptation of the French classic. Full of witty wordplay and fierce swordplay, this romantic comedy pits poetry against beauty as the woefully ugly yet dramatically talented Cyrano vies for the love of Roxane against the handsome yet bumble-tongued Christian. The love triangle becomes ever more complicated by trickery and deception and as the emotions grow stronger the poetry grows more intense. 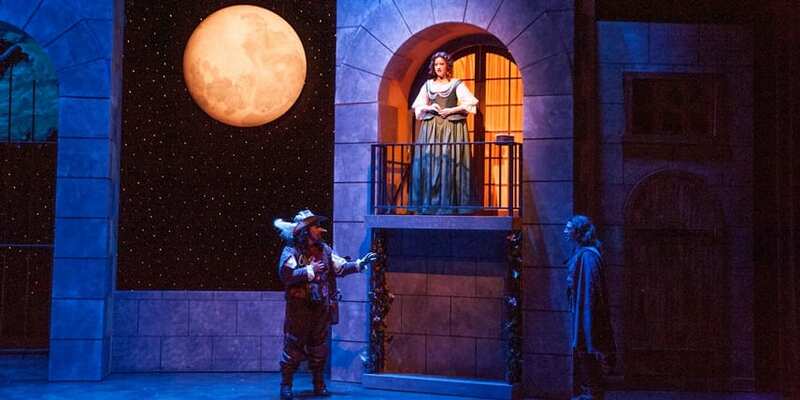 View the Cyrano production photo gallery.